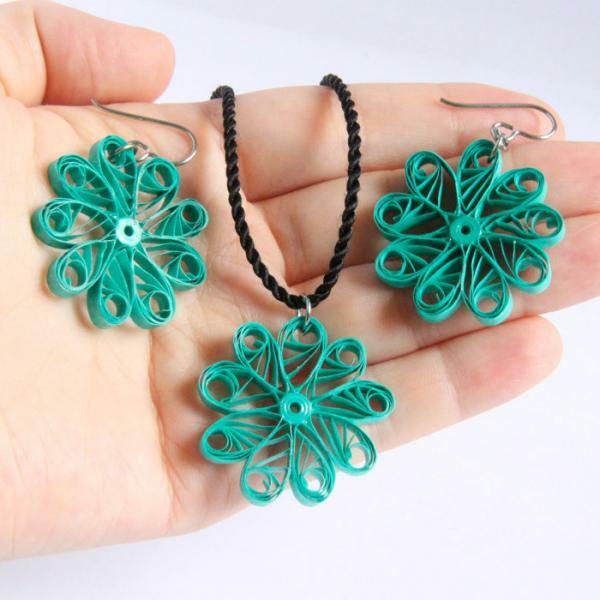 These neon modish flower dangle earrings and pendant are eco friendly and handcrafted by the art of paper quilling. 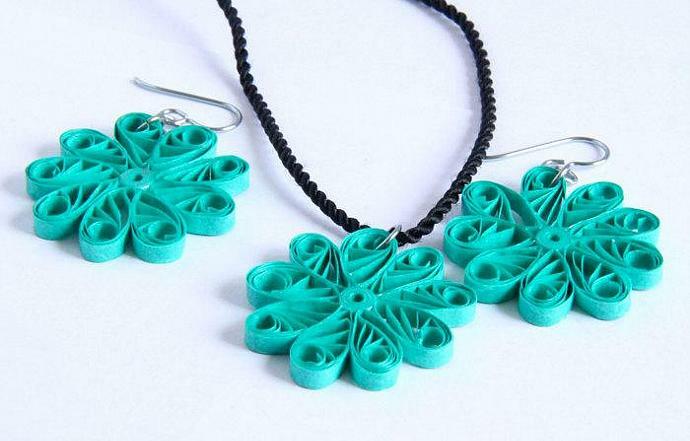 I used specialty quilling paper in a pretty aqua shade to roll and shape this design. They are finished with niobium findings. Why niobium? It is as hypoallergenic as pure gold and it will not tarnish! I love niobium and it is one of the only metals for earrings that I can wear all day with no irritation! *NOTE* this is listing for a MADE TO ORDER set. They will be the same color and design as the ones in the photos (unless you request a different color) but may have slight differences as they are each handmade. Please allow a few extra days for delivery for your own set. This jewelry set is fun, swinging, and will definitely be noticed! Each flower has been carefully hand varnished with several layers of sealant for a sturdy and water resistant finish! The necklace cord is 18" long and links together with a knot and loop at the end. I can make the necklace shorter for you if you'd like, just leave me a note when checking out.